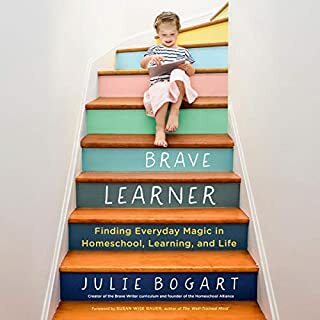 Parents everywhere are deeply concerned about the education of their children, especially now, when education has become a minefield of politics and controversy. One of the world's most influential educators, Robinson has had countless conversations with parents about the dilemmas they face. As a parent, what should you look for in your children's education? How can you tell if their school is right for them and what can you do if it isn't? 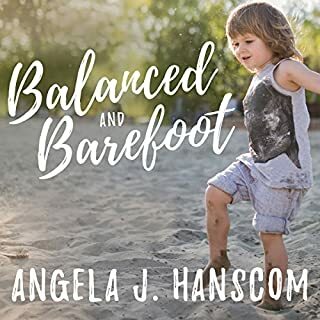 In this important new book, he offers clear principles and practical advice on how to support your child through the K-12 education system. Our children spend their days being passively instructed and made to sit still and take tests, often against their will. We call this imprisonment schooling yet wonder why kids become bored and misbehave. Even outside of school children today seldom play and explore without adult supervision and are afforded few opportunities to control their own lives. The result: anxious, unfocused children who see schooling and life as a series of hoops to struggle through. To foster children who will thrive in today's constantly changing world, we must entrust them to steer their own learning and development. 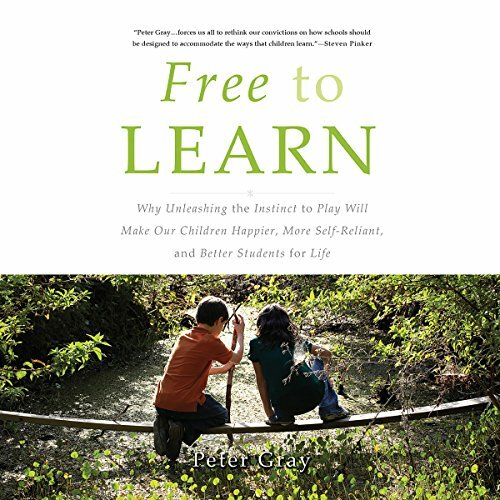 Drawing on evidence from anthropology, psychology, and history, Gray demonstrates that free play is the primary means by which children learn to control their lives, solve problems, get along with peers, and become emotionally resilient. 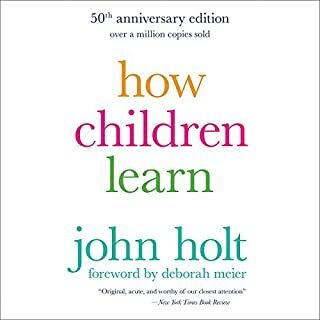 This capacity to learn through play evolved long ago, in hunter-gatherer bands where children acquired the skills of the culture through their own initiatives. And these instincts still operate remarkably well today, as studies at alternative, democratically administered schools show. When children are in charge of their own education, they learn better and at lower cost than the traditional model of coercive schooling. A brave, counterintuitive proposal for freeing our children from the shackles of the curiosity-killing institution we call school, Free to Learn suggests that it's time to stop asking what's wrong with our children and start asking what's wrong with the system. It shows how we can act both as parents and as members of society to improve children's lives and promote their happiness and learning. A lot of information including the history of schools! Explains the natural ways kids learn. I am so grateful for unschool. All children deserve to be happy with no anxiety. Kids are being medicated with a sedative just to be able to go to school (this isn't in the book)! This is unacceptable. Some children have Pathological Demand Avoidance and unschool is the way they thrive. There are many other children that could thrive from this as well! It promotes free thinking. We need more free thinkers for outside the box thinking. The medical field in particular REALLY needs this! life changing information for parents. It's on my list of the 10 most amazing books I've read. I have had this book on my “to read” list since I was pregnant with my now 6 year old. I’m so glad it’s finally on Audible, it’s as good as I’ve heard and am sharing it far and wide. 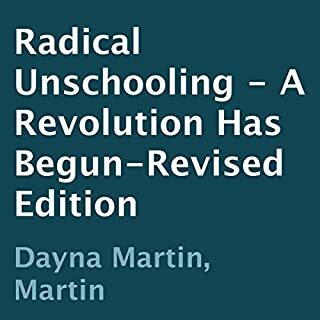 We need a revolution in our education system and I’m proud to be an unschooling Mama to my two sons. Wow! Revelations abound. A must-read! Every parent, teacher, in fact EVERYONE on earth should read/listen to this! Peter Gray should be on everyone's bookshelf. This book changed my life! if you've ever considered your children people, instead of products for you to develop and perfect, read this book. It was inspiring, and enlightening, and overall fantastic. This is the best book I've ever heard or read. Very inspiring and very informative. Based on surveys and experiments and not just good intentions. 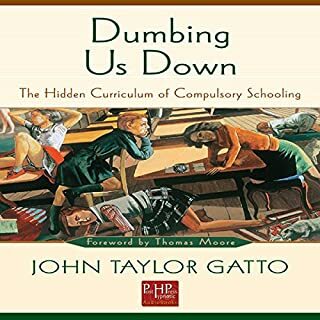 Strikes a worn-out progressive stance replete with what is becoming repetitive to these types of education-centered tomes... hearkening back to the perceived benefits of hunter-gatherer tribes. One can't read or listen to alternative education material without being subjected to the same old tribalism trope where these magical, playful, historical kids had seemingly better lives when their parents lived hand to mouth barely subsisting in the hard bushes somewhere. 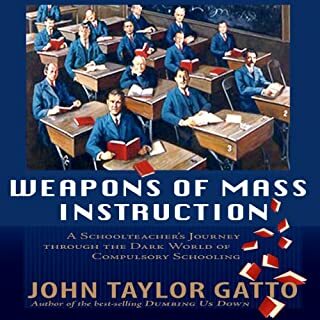 The author's approach also takes on a Marxist sheen when one hears his obvious disdain for private property rights and the horrors of modern agriculture and the terrors this monster unleashed on little kids which hardly offers evidence for what ails modern education.